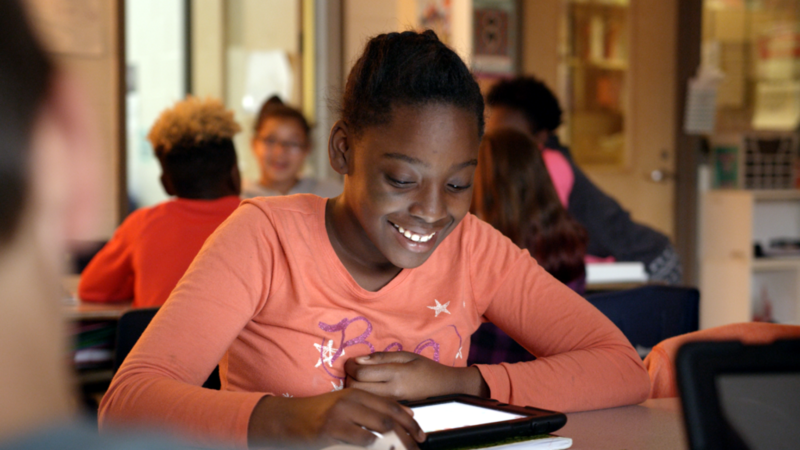 Since it was introduced in Richmond County Schools, Discovery Education Math Techbook has helped students across every middle school grade attain consistent gains on end-of-year tests, according to achievement data from the district. As a result, Math Techbook has become the core instructional resource for middle school educators to support their teaching and learning. Because the district’s middle schools do not have a 1:1 student to device ratio, educators needed a service that could help them maximize students’ time with a limited number of classroom devices. That’s when district leaders chose Discovery Education Math Techbook, supported by Discovery Education’s Professional Development. In Richmond County’s middle schools, students use a small-group instruction approach in math classrooms, rotating their time with laptops on carts. Kelly DeLong, director of math and science curriculum, said this strategy, aided by Techbook, has increased classroom engagement and given students more time with sources they can trust — their teachers and Techbook.